“Deep into that darkness peering long, I stood there, wondering, fearing, doubting, dreaming dreams that no mortal ever dared to dream before,” wrote Edgar Allan Poe in his famous poem “The Raven.” I thought that particular quote apt as it encompasses themes from the novel The White Forest as well as from the movie The Raven. 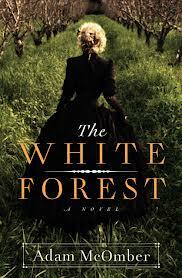 The White Forest came out in 2012. It is a Gothic tale set in Victorian England. The main character, Jane Silverlake, has an unusual gift. She can hear the soul of man made objects. Later she comes to realize that she is not of this earth. She is the Red Goddess. She is a bridge to the Empyrean or the great Aether. The Aether represents the opposite of creation. It is the unmade. It is silence. And so there is a tension between Nature and Technology as well as light and dark in the novel. McOmber even mentions Poe in passion as a reference to the occult and metaphysics. 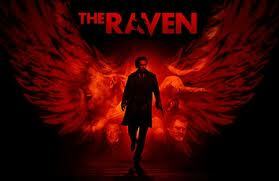 The movie The Raven came out in 2012 as well. It stars John Cusack as the Poet Poe. Though lavish as a period piece, it lacks an equally lavish plot. It echoes the pilot of the TV show Castle. A serial killer starts killing off people just as described in his favorite author’s books. Castle gets to keep solving mysteries and falls in love, where Poe sacrifices himself for the woman he already loves. Although a bit of a downer, it was an interesting take on the author’s actual death. Poe died not just tragically, but mysteriously as well. It was said that he died of Pneumonia on October of 1948. Some think perhaps the real cause of death was foul play though. There was no autopsy so no one knows for sure. He was ranting, shaking and delirious when he awoke in the hospital after being found unconscious outside a saloon. Originally the diagnosis was “congestion of the brain.” Though his symptoms matched alcohol and drug withdrawal, he was supposed to have been clean and sober for six months prior to his death. That led some to suspect a case of Rabies—at least in retrospect. 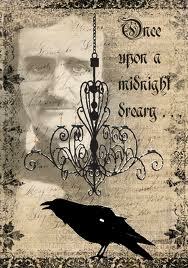 Dr. Benitez at the University of Maryland came to that conclusion some 147 years after Poe’s death—in 1996 I think. Continuing on the Gothic theme, I watched Vamps. It is a 2012 Comedy-Horror from the writer of Clueless. It stars Alicia Silverstone and Kristin Ritter. 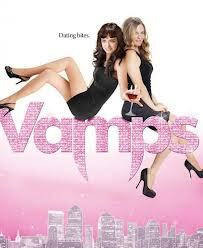 Like Clueless, Vamps is based on a classic novel. Clueless took its basic structure and plot from Jane Austen’s Emma. Vamps is loosely centered on Dracula but Bram Stoker. Vlad Tempish is now reformed and attending AA-like meetings. Dr. Van Helsing is short bald guy who has a son named Joey. Joey just happens to fall for a Vampire named Stacy. There is even an assistant named Renfield. However, no one goes to Transylvania and the only person who goes to her true death is the stem Ciccerus. She is a sort of Queen of the Damned, borrowing more from Anne Rice than Stoker. It is really more Clueless than Dracula, but it was still amusing. It was silly, but smart as far as historical and pop culture references were concerned. This entry was posted in Literature/Pop Culture, Movies/TV, Writing and tagged Adam McOmber, Aether, Bram Stoker, Castle, Clueless, Death, Dracula, Edgar Allan Poe, Emma, Empyrean, Jane Austen, John Cusack, Metaphysics, The Occult, The Raven, The Red Goddess, The White Forest, Vamps, Van Helsing, Vlad Tepish. Bookmark the permalink.